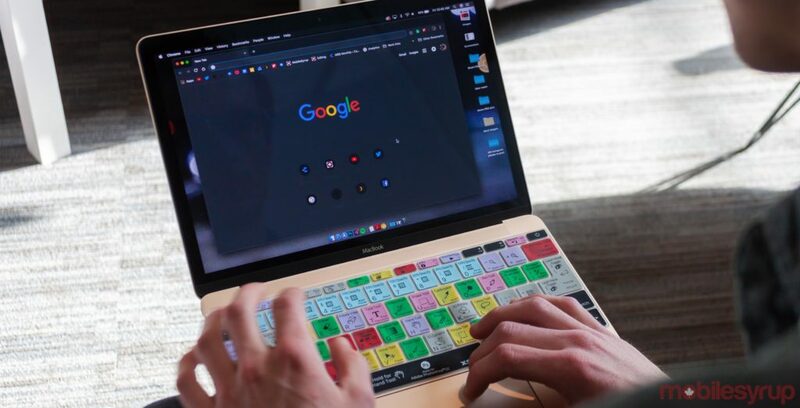 Google’s dark mode feature for Chrome on macOS and Windows is getting closer to launch. As with most new Chrome features, dark mode is available for testing in Canary, but users no longer need to enable any settings, tweak flags or do anything else to turn on dark mode. In other words, the feature now appears to work natively with both operating systems’ built-in dark mode toggles. Previously, Windows users could force dark mode by adding a line to a ‘target’ field in Chrome Canary’s properties window. However, the resulting dark theme was clearly incomplete. That’s no longer the case, with TechDows and Android Police both reporting that enabling the system dark mode on Windows 10 and macOS Mojave respectively will transform Chrome Canary. Further, the theme switch should happen in real time. TechDows posted a GIF that shows Chrome Canary switching between light and dark mode when the user selects the corresponding Windows setting. Additionally, Twitter user Mark (@markdrew53) posted a clip showing the same seamless theme transition on macOS. For this to work, you’ll need Chrome Canary version 74. However, you may need a bit of luck too. Despite using Canary 74, I was unable to activate dark mode on my Windows laptop. It did work on a MacBook that I tried, however. Additionally, when testing it on a MacBook, the dark mode was still rather buggy. Some text would display in black or grey, making it difficult to read against the dark background. Android Police mentions using some flags to “modernize” the new tab page in Chrome, which may also be responsible for fixing some of the text issues. Ultimately, it looks like Chrome’s dark mode is in the final stages of testing now. Hopefully, it won’t be too much longer before it rolls out widely to everyone.